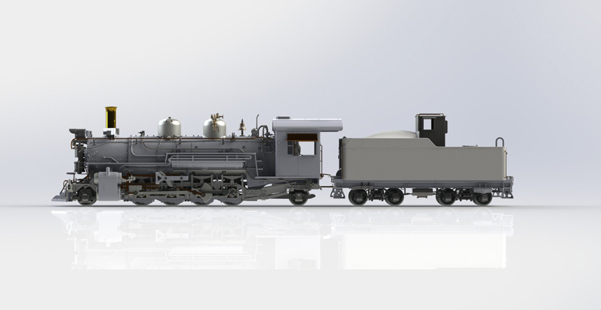 The K-28 Class Locomotives, nicknamed the ‘sport model,’ were ordered from ALCO and delivered to the D&RGW in 1923 for multiple uses throughout the narrow gauge system. Mostly known for pulling the famous passenger train, The San Juan, they also saw service pulling the Shavano, the Chili Line, and Silverton mixed trains, as well as many different freight assignments. Included in this release will be Nos. 473, 476 and 478, which survive today on the Durango & Silverton Narrow Gauge Railroad. The other engines replicated in this release will be Nos. 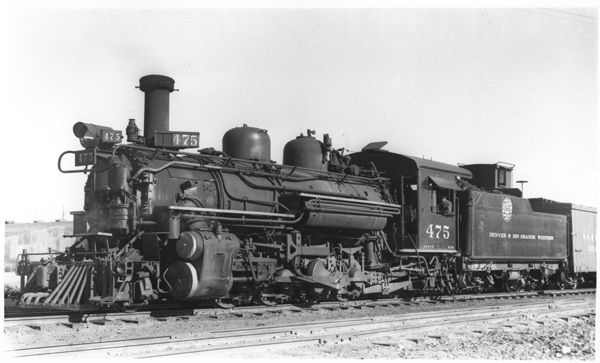 470 and 475, which served the D&RGW until 1942 when they were transferred to the U.S. Army for use on the White Pass & Yukon Railroad. Following the war effort, these locomotives were shipped to the Lower 48 and scrapped. The above image is a 3D rendering intended to show the detail level that will be offered on the model, this is subject to change without notice due to the on-going production process.